This weekend is a great time to take advantage of the Veteran’s Day free day in our state and national parks! We’ll focus on a few options to #getoutsideallwinter in these fee free parks on Sunday, November 11th. Keep in mind that the official federal holiday is Monday, November 12th, but the day that the Washington State and national parks are free is SUNDAY (the 11th). The weather looks to be sunny or at least partly sunny in Seattle, on the Olympic Penninsula and in Mt Rainier National Park, which makes it even more exciting! Always check the weather before heading out as things can definitely change this time of year. 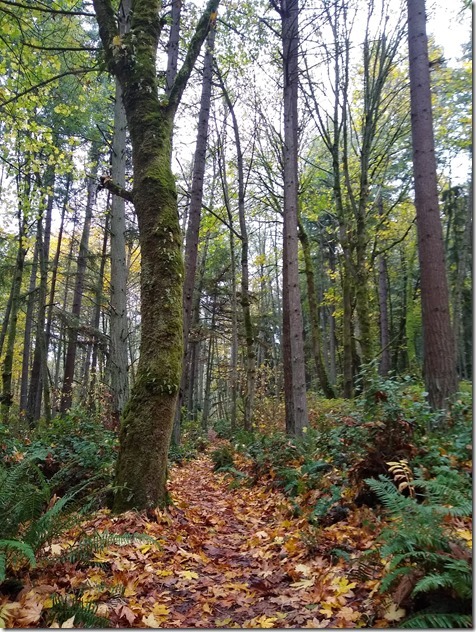 The Washington Trails Association trip reports are also an excellent resource for learning the current conditions of trails (road condition, snow conditions, etc). Here are three options for Veteran’s Day Fee Free Hikes! Recently, we talked about some excellent rainy day hikes in Mt Rainier National Park and this would be a great weekend for any of those as they are also enjoyable in sunny weather! 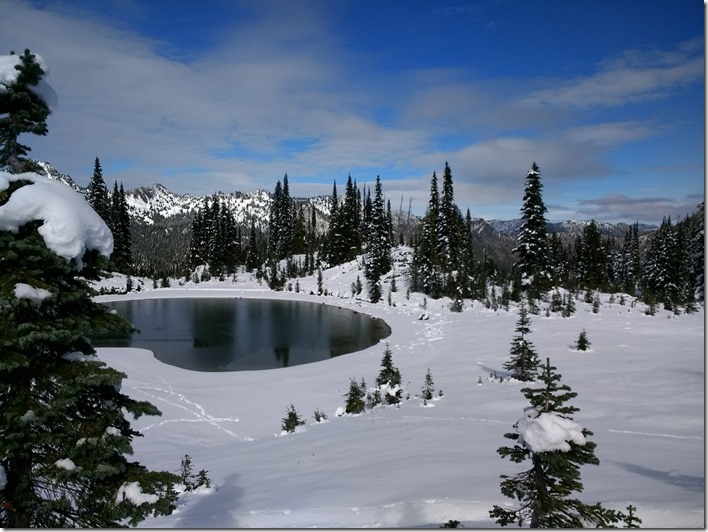 It looks like the chances of Mt Rainier being out are very good so Paradise and Chinook Pass would be fun places to play in a bit of early season snow with some epic mountain views. You can check the webcam to see if the mountain is out! Note that tire chains are required to be carried in all vehicles in the park regardless of weather or the type of vehicle starting November 1st. 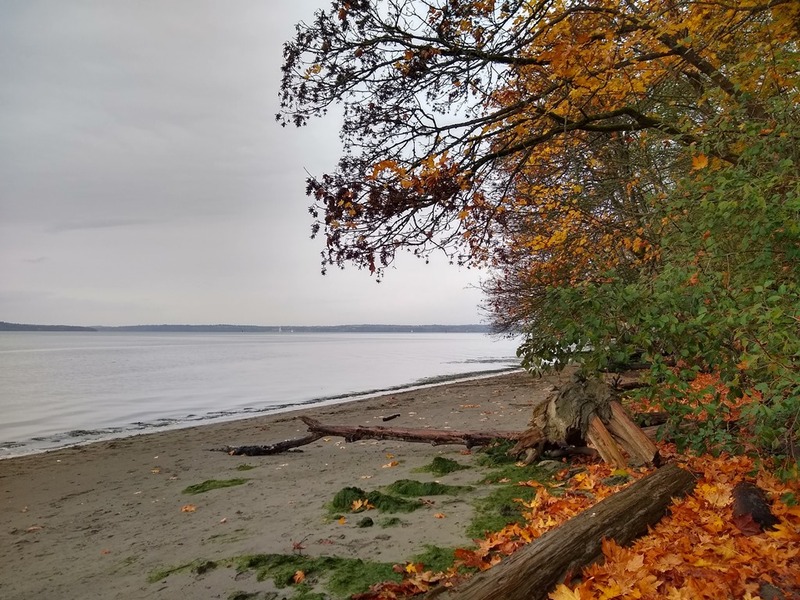 If you’d like to stay closer to home, try the trails at Dash Point State park in Federal Way (between Seattle and Tacoma) for beautiful forest walks and beach walks. There are many trails and loops that go all around the park, up and down hills through the forest and along Thames Creek. There are maps posted along the trails and you can also print one before you go here. In addition to miles of delightful forest walks, there is also a beach to visit. If you want to make a weekend out of it, you could head out to the Hoh Rainforest in Olympic National Park (it’s a five hour drive from Seattle so not a day trip!) and stay in Forks. You could checkout the Olympic Beaches and the Quinalt Rainforest while there, as well as make a loop of the entire Olympic Penninsula if you like! There are no services in the Hoh Rainforest, so make sure to bring your own food and water. The Hoh is world famous for it’s ancient enormous trees, it’s lush undergrowth, and Roosevelt Elk. 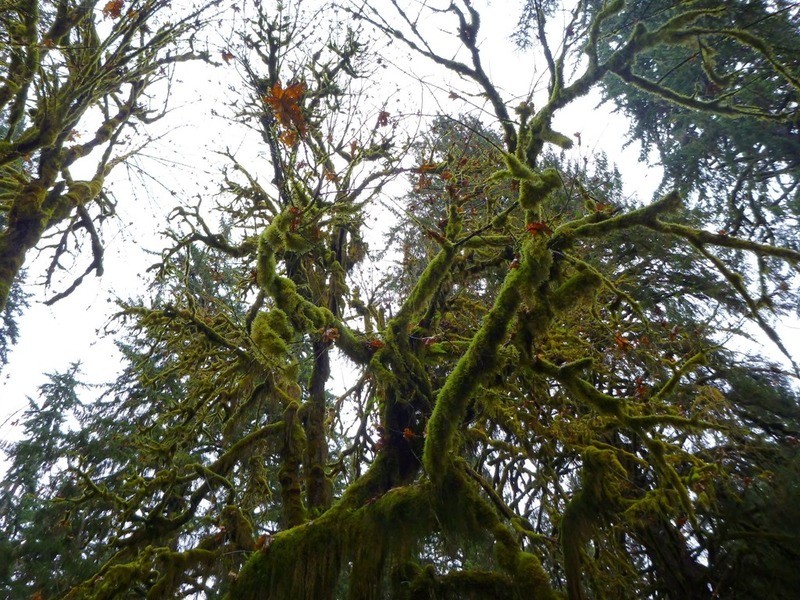 This weekend could be a rare opportunity to visit the Hoh without the crowds of summer and without rain (always bring a good raincoat and waterproof boots or shoes when exploring the rainforest no matter what the weather is currently doing!). Big leaf maples are one of the mighty trees of the Hoh. Once they lose their leaves you can see part of the sky! Enjoy the weekend and many thanks to all the Veterans who have served our country!